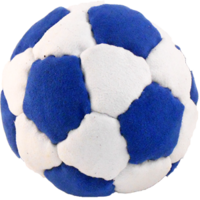 Meet Flying Clippers’ revolutionary concept in handmade juggle balls, the PT Pro 70 Juggle Ball. 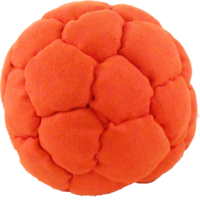 The Pro 70 is filled to 70% volume combining state of the art synthetic suede and our original 32 panel design, the new Pro 70 incorporates a unique blend of filler material to form the most supple feel to a juggle ball that we have ever made. 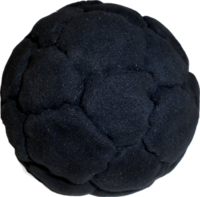 We use ground up RECYCLED tire rubber as a filler material which gives the ball excellent juggling characteristics. 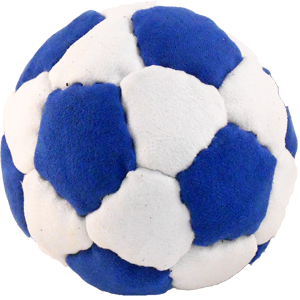 Your juggling experience will be enhanced when you see that these balls have a drop-dead quality and will never roll away. 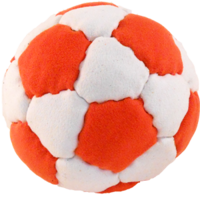 One happy juggler says “These balls are so soft and forgiving that if the ball hits your hand, it will surely be a catch”. 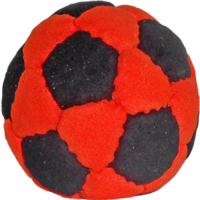 Adding to all of this, the Pro 70 is completely washable enabling you to maintain fabric brightness much longer than all non-washable beanbag type balls. 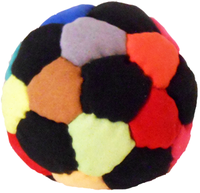 Because of great feedback from our juggling friends, we have changed the rules for handmade juggle balls. *Note: Fluorescent colors are UV sensitive and will glow under black light. Can't wait to get my new set in the mail. I've misplaced my previous set and found that nothing can replace them! Everything else seems clumsy after juggling these for some time. You drop them and they stop, ready to be kicked up into a fantastic stall. You can catch them with your fingertips or tops of your feet. These bags are smooth as butter. 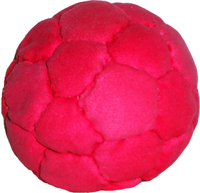 I've been juggling and playing freestyle footbag at a Semi-Pro level for 5 years and this product is awesome, I can juggle theses bad boys with such ease it's insane and they also make a pretty good Freestyle Footbag as well not to mention that you can wash them, it doesn't get much better then that i definitely recommend this product to every one!!! I recently received a set of the Phat Tyre Pro 70s...this must be what it's like to eat filet mignon for the first time after a lifetime of Big Macs. I haven't been able to put them down. I never realized how much I had been compromising with my juggling props until I held this bag in my hand; perfectly sized, perfectly weighted, buttery soft feel, eminently catchable, eye-catchingly visual, even the sound is great (almost silent, as opposed to the loud swish of the plastic resin in my previous set of underfilled bags). 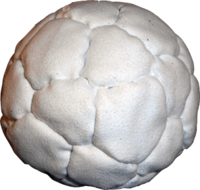 They are very squishy, but they somehow still feel structured and substantial, and maintain a very round shape in flight. 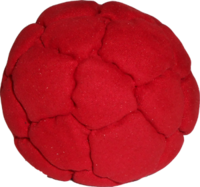 Tight patterns are a breeze because throws are so predictable; I've never juggled any bag where such precision was possible, let alone an underfilled one. Nothing is perfect, though, right? Okay, fine...they smell like tires. It's faint, and it doesn't bother me, but if the smell of your props is an issue, there you go. The smell might lessen after going through the wash anyway; I don't know. Another possible issue (and I stress possible, because it might not be a problem) is whether the filling will eventually leak through the seams; but the craftsmanship of these things is fantastic, and I trust Jim has done his R. and D., so I doubt it. In fact, the only real problem with these might be the fact that all of my other props are going to be seriously neglected from now on. I'm curious about the 90% fill version, I might get a set of those too. If you like underfilled bags, do yourself a favor and get a set of these immediately. If you don't like underfilled bags, these will almost certainly change your mind. My bottom line: these are my favorite prop ever. It's shocking that they are so affordable compared to some other bags on the market, so wake up and get a set now, before Jim realizes his mistake and starts charging what they are worth. 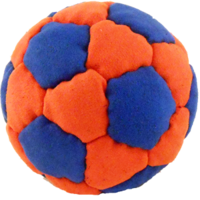 Reviewed Fri, Nov 15 2013 5:44 pm by Dave H.
Best things I've thrown in the air yet! 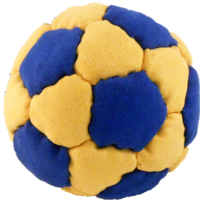 These are so much better than my old "learn to juggle" bean bags it's silly. Having been stuck at 3 ball cascades for years, I'm already doing Mills Mess and 4 ball fountains fairly easily. 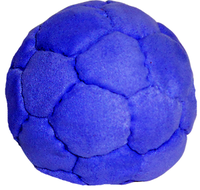 They're soft, don't roll at all and are a joy to juggle. I can't wait to get above 5 so I can order some more! 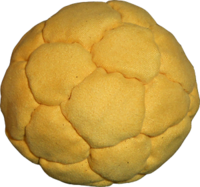 I discovered the Phat Tyre juggle ball about a month after I began to learn how to juggle. 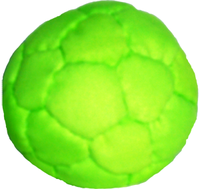 The Phat Tyre ball is very forgiving of mid-air collisions. It has allowed me to be more confident in juggling. They fit nicely in the hands for catching, tossing, and exchanging. 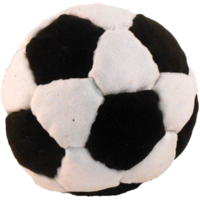 Everyone comments how the (white/black) bags look like mini-soccer balls. I liked the product so much I have gone on to purchase a few other colors of the Phat Tyre. This is going to be the first review of this product that i will submit i got a set of seven in the mail today about three his ago and wow as soon as i held one in my hand i was captivated the weight is perfect they manage to keep there shape very well the feel of them is UN like anything I've ever juggled before the ultra suede feels heavenly in your hand and when you squeeze them a fist full of marshmallows comes to mind. 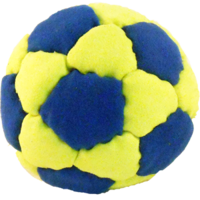 I have juggled more variations of juggling balls than care to remember and this is the first one that feels like it was made to be juggled, this is as of right now the best juggling ball I've ever touched. 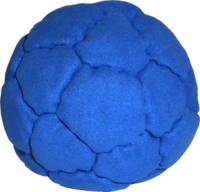 After a few hours of juggling with these i am very pleased when you drop one it doesn't roll away from you, every time the ball lands in your hand it feels extremely stable. On to of all of this i can fit all seven balls in one hand then violently shake my hand around with out one of them flying away. 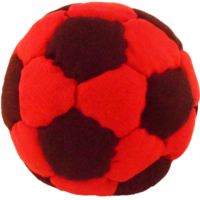 There will be another review soon once i log some real practice time with them but right now i would ofbeen happy if these balls were selling@$20 a peice knowing that these are only $14 a peice blows my mind!